Looking at the ATS today, they are making progress with the extension from the E Lot to the F Lot/Parking garage/ Consolidated Rental Facility. The structure from both the E Lot and F Lot extends to Manheim Rd, but the structure hasn't been built across Manheim to connect the two. I suppose when the facility opens in 2019, we will see some new ATS trains as well. The current cars have been in service since 1993 or 1994. What will happen to the current rental parking lots once the new parking garage/ rental facility opens? It supposed to be all incorporated into the building. Don't ask me where all the space for the rental cars are? The objective is to take all the rental car buses away from the airport. I believe the garage is supposed to be multi level, so that may be where they gain the space. They will have to have more rail cars because by the time you add the rental car agency traffic they may have to increase service by 5X at least. They claim the rental car agency lots will become remote parking that was lost at the north end. I don't see how they will have all the fuel islands and maintenance facilities at the north end though. Knowing how this city operates I wouldn't doubt it will be one universal tank and they will buy the fuel from the city at the city's price. Newsradio 780/105.9 article from 2015 on this.Among other things it said is that all rental cars will be in the building and no shuttles will be allowed, but customers will have to use the ATS. I wondered what the bridge construction was over Mannheim Road, but the two of you explained it. I just don't see how a 3 car ats train is going to handle the crowds. It gets packed now and adding all the rental agency traffic could reasonable take you to a 5 or even 6 car train. Only other option is to decrease the headways. Thats going to prove to be the weakest link here. While they claim they can expand the parking garage to 9 floors, they don't outline how they could expand the ats. I just don't see how a 3 car ats train is going to handle the crowds. It gets packed now and adding all the rental agency traffic could reasonable take you to a 5 or even 6 car train. Only other option is to decrease the headways. Thats going to prove to be the weakest link here. The stations can only handle 3 cars . The peak headway is 4 minutes. I suppose you could get it down to 3 minutes. What I don't see is how ALL rental companies will fit in the parking facility. Some companies are on Manheim . Will they have to move too? Then there's storage. In Minneapolis the rental companies had off site storage, fueling and wash facilities with shuttle drivers shuttling between the main garage and the off site facilities. The lower level of the main garage also had wash facilities for the rental companies that were housed in the parking garage. I can't tell but it doesn't appear to be the case here. The span is now built over northbound Manheim Rd. The article claims that midway already has this, (im not familiar with midway however) so it seems to me that this project is basically a clone of that. It would appear the wash facilities will be universal also. The city has already benefitted off this project pushing the remote parking closer and forcing those who would have parked in the cheaper lot to pay more. At ORD, they will need the 5 additional floors. The irony is that the rental companies that were at MDW used to be in the main garage. Now shuttle bus service is needed between the terminal and the Consolidated Rental car facility on 55th. What I don't see is how ALL rental companies will fit in the parking facility. Some companies are on Manheim . Will they have to move too? Having once been associated with the business, the answer is that only the agencies that have franchises from the city are on airport grounds and are allowed to have booths in the airport and cars parked there. Maybe the article was over inclusive, in that the ones on Bessie Coleman Drive won't be allowed to have shuttles but have to move to the garage, but I don't know what rights something like Enterprise (on Devon Ave.) has. Heck, I remember when it was no big deal when the rent a cars were parked in the area that is now the hotel and CTA station. I was behind a remote parking lot shuttle bus today. I didn't realize that those buses are ElDorados. Obviously they aren't Axxesses and they aren't EZ. Riders (I assume EZ Riders don't come in a 40'option). So what are they? I saw one of the new ATS cars on a flatbed at 9:45 this morning, going west on 80/94 at Cline. It is royal blue with ORD in white letters on the side. That doesn't come up on a search. The only thing indicated is that TranSystems is in charge of the ATS project to the new consolidated rental car building and parking garage. Thanks. That was actually my guess too since they sold the same product to Taipei for their metro line that uses the same VAL 256s. Slightly less verbose source: Bombardier release. Much easier to read though, thanks. 36 cars, wow, talk about a fleet expansion. They only use 12 of their 15 cars right now. Indicated that not only replacements, but needed for the extension to the consolidated rental car and parking building. Also looks like rental company buses are being banned, so have to pick up the slack. However, since the source @rl12383 cited said a total of 12 3 car married units, I wonder how that enters into your math. Usually they run 5 two car sets or 4 three car sets. Since all of the ATS stations can only berth 3 cars maximum, I can only imagine them running a maximum of 6 three car set's or 18 cars once the expansion takes place, assuming 4 minute intervals. I would imagine 6 to 9 cars available as spares. , I can only imagine them running a maximum of 6 three car set's or 18 cars once the expansion takes place, assuming 4 minute intervals. I would imagine 6 to 9 cars available as spares. The extension is only a 1/2 mile from the current terminal. That amounts to one or two extra trains at most unless you condense headway to every 2 minutes. Since summer 2017, the ATS has been shutting down weeknights from 10;30p until 4:30a.m the following morning. Now the system shuts down at 6;45p.m. 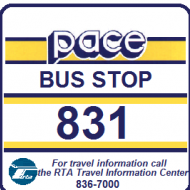 Will intercity buses be moved to the new parking ramp from the existing Bus/Shuttle Center?